We at Village Bible Church are lovers of God, His Word, His people, and seekers of His will for our lives. Village Bible Church has ministered in the Cherokee Village area for forty years. Locally: We believe it is our command from Jesus to reach our local community with the gospel. We want people to come to Christ, not just come to a church service. Of course, we want them to be drawn to Christ when they come to our services and events, so we do not hesitate to invite them, but we dare not assume that our responsibility ends with that! We provide handy two-sided cards with church information on one side and a gospel tract on the other. These are intended for our folks to give to people they know and those they meet. We also reach out to our community through various outreach events and efforts to help connect us, as a church, to our community. Some of these are more heavily focused on building relationships (game nights, fall family fun day, church in the park, etc.). We have also done evangelistic meetings at the church in conjunction with things intended to attract those who may not be comfortable in a church setting. We are active and visible as a church in community events (like roadside cleanup), as well as in supporting local public officials (like the police and fire departments) through appreciation events. We have supported various local para-church ministries financially and in other ways (New Beginning Crisis Pregnancy Center, a local battered women’s shelter, Pilgrimage-Cedar Springs Camp youth ministries, NSCMA food distribution). 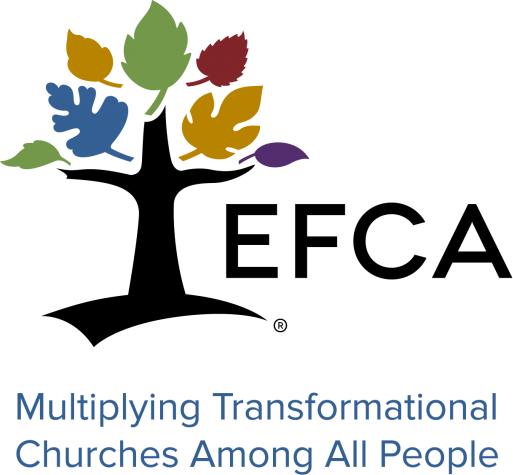 Nationally: as part of the EFCA, Central District, we have been able to be involved, albeit on a lesser scale, in the collective efforts of other Free Churches in planting churches and reaching people in Arkansas, Missouri, Iowa, and southeast South Dakota. Our involvement here has been reduced in recent years due to financial constraints. Still, for the first time in the history of the church, in July 2016 we sent a team to help International Community Church reach international students at Mizzou in Columbia, MO. We are thus strengthening our efforts to be involved beyond the limits of our local area. Internationally: Since her beginning, this church has been very involved in international missions. Many of the folks who have comprised this body of believers over the years have been missionaries to other parts of the world, and/or have had close family members who have done so. From making and sending bandages to an EFCA mission hospital in Tondala, Africa, to supporting financially missionaries with Wycliffe Bible Translators, to staying in regular (monthly and now weekly) contact with missionaries and praying specifically for them, VBC has maintained a healthy focus on the uttermost parts of the world. We hope you will take time to get to know all about our church and get answers to all your questions. We want you to know all about our ‘Purpose, Vision, and Values’. We invite you to give us a call, email us, or come and worship the Lord with us!